Don't wait! Presale ticket holders save money & have first choice on seats! Bring CLASH with you everywhere, download the CLASH Android App today! Check out our YouTube page for the latest music videos, teasers, and webisodes! 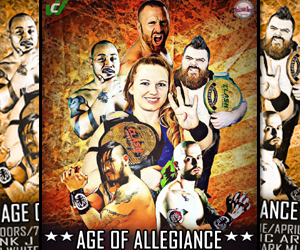 Comment, share & like photos with CLASH Wrestling on your smartphone! Be the first to hear late breaking CLASH news. Follow us on Twitter today! CLASH Wrestling is now on Facebook. Add us today for our latest updates!